One of the eight new works that will be on display at Mark Hutchins Gallery from this Thursday to Sunday. 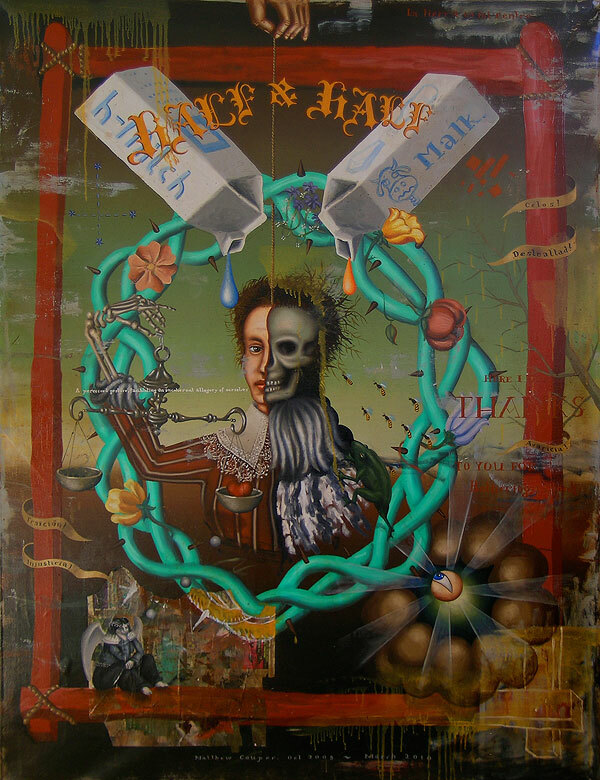 The oil and collage on canvas painting is 1680mm high by 1280mm wide and is titled 'Half and Half'. It relates to a smaller painting that was worked on at the same time as this one below, but this one slipped through the net at the time - that was October 2008. It has since been three other paintings, a whole new painting painted on the back and now finally finished, ready to be stretched over a wooden frame for display. You can view all the works in the exhibition here on my website.